Offering a harmonious blend of traditional Balinese-inspired design and décor coupled with extraordinarily genuine guest service, Pantai Inn provides a unique retreat for guests to experience and enjoy, time and again. 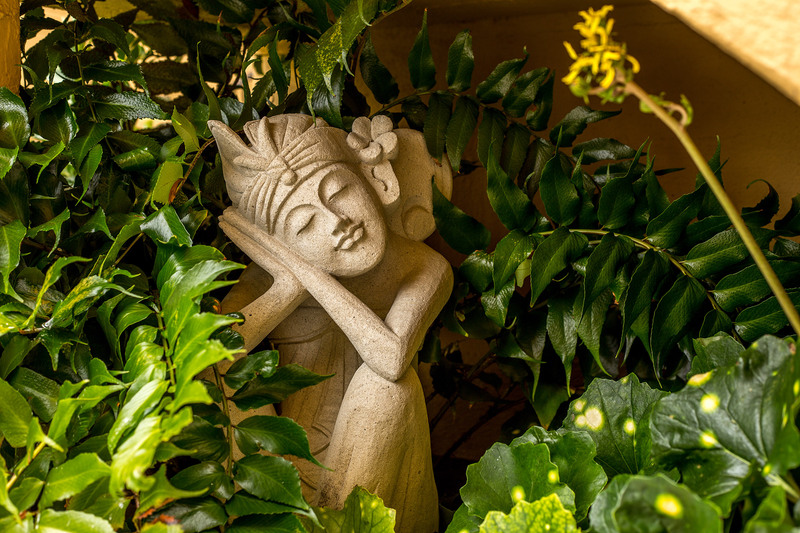 Upon entering the Pantai grounds, guests are swept away by the beauty of the lush, manicured gardens and authentic Balinese statues, offering a sense of tranquility in the heart of La Jolla. The coral stoned courtyard is lined with plumeria, hibiscus-filled greenery and soothing water features while the sun shines brightly overhead. Guest accommodations provide authentic Balinese-inspired design along with custom-made furnishings and original artwork imported directly from Bali. With a tranquil surrounding deeply rooted in traditional Balinese-inspired design and hospitality, there truly is no other La Jolla hotel like Pantai Inn.